There are currently 88,699 users on this website. 1961 50 Cent Struck Through Cloth? I saw this coin in hand at my local coin shop and it is listed on eBay. anybody have any comments? it is definitely a weird one. it just doesn't look right to me but there are some experts lurking around here that might know better. I can't seem to link the eBay page but here is the listing number. I think it looks a little suspicious either a bored mint worker or a homemade squeeze job. Sorry cant help beyond that.. 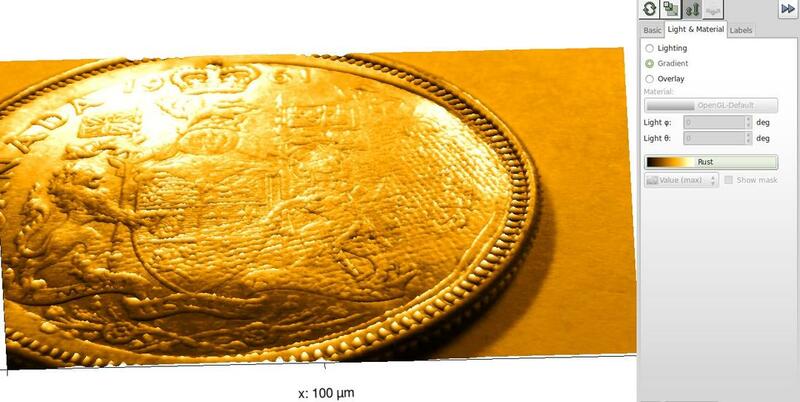 The "cloth" was on both sides of the planchet when it struck by the dies? And this didn't cause problem with the machining? If this coin is legit I would love for someone to explain to me why it looks offset on the obverse.. and what those "wavy lines" are caused by around the 4 o'clock area of the obverse. After a second look I say backdoor mint job. Looks like it was done by someone with a press and a piece of screen.Squeezed a couple of times to create the doubling. this looks like a vice job or garage job of some kind. 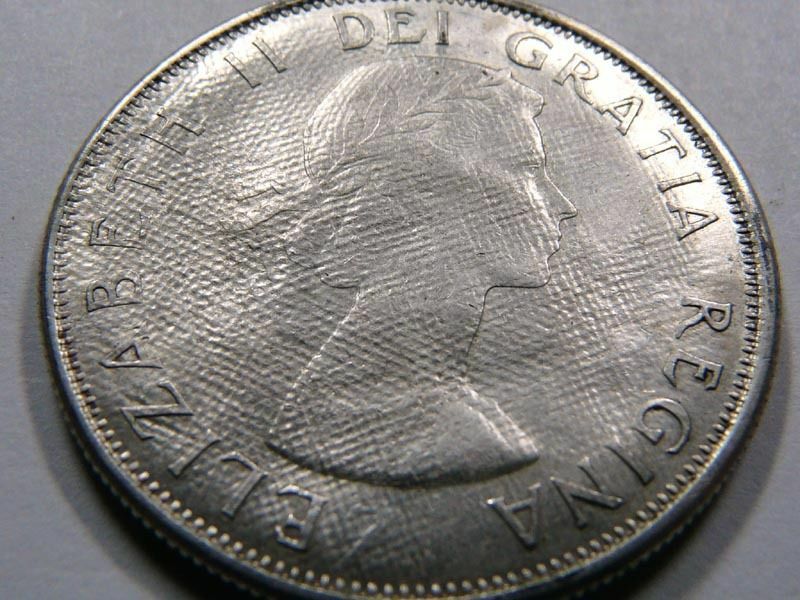 look at the word 'CENTS', note how it is flattened almost as if it were pressed down after striking. if real in imagine the die would be filled between the die and coin resulting in loss of detail ane thinner letters due to less space in the die devices. Which brings me to my second question. I am certainly not a professional in this field.. not in grading nor in dealing ... but the seller of this coin has a B&M store as well as an e-bay store.. So is this a dealer that has just made a professional error in judgement or is this a dealer that's trying to pass something over on people.. I generally hate to judge a person with out knowing them... but in an instant like this I would not buy anything from this person's store or web business as I'm already a skeptic to their business practices. I'm going to Victoria next month and now plan on stopping in at this coin store to see if they are the least knowledgable dealers around or the biggest scammers. We all agree this coin was made on purpose..let them have an ear full DBM. Its just a figure of speech I'm sure DBM will do the appropriate thing. If it came out the back door of the mint its still considered an error from what I've seen. 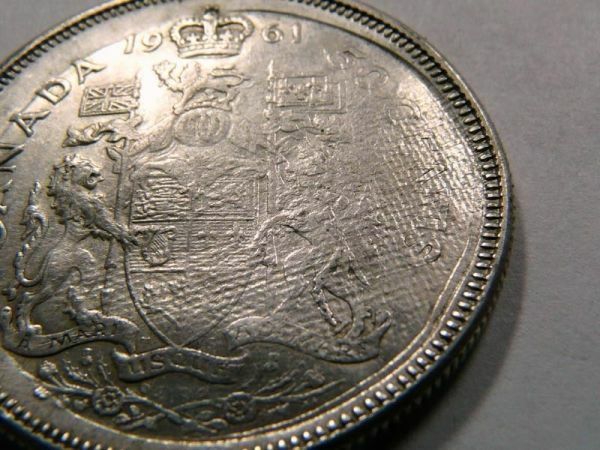 The obverse is slightly convex and the reverse is concave. I'd say the coin is some sort of PMD hammer job. @DBM ... just ask him to bring it to Vancouver for the June 15th show, I am sure Clay will show it to you (pretty sure he will have his usual table). As to them being knowledgeable coin dealers .................. well you can always be the judge of that. If you are in Victoria next month you can always see US @ the Sunday collectors flea market they just started up downtown Victoria. Cheers ! Pac... BTW I agree with you guys.... PMD absolutely on this piece! In my opinion. Hey everyone. thanks for your opinions. please let me start by saying that this coin store is my local store and the guys there are really honest but they are not too knowledgable about errors. they opened the store a couple of years ago. they are a gold and silver dealer but they are both coin collectors too so they do have a passion for coins and run it as a coin shop. when I went in the shop they showed it to me for my opinion knowing that I do collect errors. I suggested that it didn't look right to me and that I should ask the opinion of this forum. he mentioned to me that it came as part of a collection and he is selling it based on what the original owner stated on the 2x2 - struck through cloth. he will likely remove it from eBay once I link him to this thread.